Greetings! I have a couple of hours and would like to talk with you. I wish it could be a real conversation. Yet from many comments I receive from a number of you, these letters are appreciated. There are a number of things we could talk about. Among them the scandal of the New Era confusion and dishonesty, from which so many will suffer. We happily had nothing to do with it; in fact, a friend of ours warned about New Era already several years ago. He has given some valuable insight to the Wall Street Journal on the whole matter. Or we could talk for some time about the other forms of the continuing crisis in our society's thinking. The absence of any morality or substance, the failure to acknowledge the reality of God's created world in its form and with His definitions will always make people look for the cure-all, the sound-bite and the political alternative, but not for a fundamental adjustment in the way all of life is understood Biblically. The political perspective rather than the moral and intellectual one always seems to win the day. It is the background for the president's decisions, if there are any, and for basic human needs. The failure to get to the root problems in the human heart and the faulty thinking about human nature will bear bitter fruit. Even as government wants to spend or to cut spending, much of the church looks for its own kind of "solutions": Better programs, more entertainment, greater spirituality without content, more personal stories of found happiness, etc. Both the secular and the Christian worlds are so much in search for a quick fix, a better distraction, a more entertaining program. The realization that all of life is a continuous struggle for a sane mind and for life as defined by the Creator is very rare. Our material success has raised different expectations. They are for more things, but also for cures to the pain of the soul. Here, too, equally successful and rapid solutions are demanded. The struggle for righteousness, expressed in a longing, hunger and thirst for God's reality and truth is often absent. Democracy with its promises of better options, alternative solutions, more popular candidates, because of what they hold out to people in their self-perceived needs, is a bad context, a hostile climate. Barbara Tuchman pointed out years ago, that in a modern democracy no wise person, no statesman, no intellectual will run for office. Office holders are those who won a popularity contest, not a moral examination. Not that democracy itself is the problem, but what people expect from it as a self-serving system of rights sheds light on the need for and the present absence of moral people. Without the realism, the humility and constant intellectual and spiritual review admonished in Scripture, a society can not survive for long. Democracy does not save us from sinfulness. It is only as good as the people. When they do not think and live biblically, neither will their leaders. Some of these things come up in our discussions here and of course in Eastern Europe. People there stand very much at the beginning, I hope, of what may be in decline in our midst. There you would be encouraged by the reality of God's presence in people's lives and their visible joy as they understand more of the truth of the Bible and see God's mind and power at work in theirs. 1) Edith Schaeffer returned from her first return visit to China in the second part of April. She had not been back since her family left when she was five years old. She speaks of many warm receptions by Chinese. They approve of her return to the place of her birth and of her parents work after 75 years. She was able to match an old photograph and her memories with the reality of the same building still standing, including the banister she used to slide down and the door to her own room in the mission's compound. But can you imagine the emotion, when a 92 year old man remembered her parents and their three daughters by name after all this time. What length of life, of memories and, under girding it, of God's strength and power in this man's life as a believer through the upheavals of China's tragic pain and suffering, the convulsions of its revolutions, the fevers of its infections with Marxism and the Great Leap Forward, the deceitful infiltration by secret police and the amputation of the living church. It is allowed to exist only as a state-sponsored church. Through all these years of the absence of Christian work by missionaries, God kept his child faithfully in His family. The old man held what is true, even when it became so alien to the surrounding cultural pressures. And seemingly he, though the oldest there, was not the only one to remember Edith. God's word is carried forth from one generation to another through people like these, handed to faithful men, as Paul admonishes Timothy, to protect that source of life, strength and understanding. At times it has a wider audience, at other times there are only 7000 in Israel , as in the time of Elijah. Sometimes that word is dissected, misquoted, neglected, ridiculed, even repeated in shallow patterns, but not studied. But it will not be without effect. Even when hidden from the surface, it gives moisture to the roots and growth will break to the surface. It gives water to the parched tongue of the seeking man, woman and child, to quench their thirst for knowledge, answers and succor. Imagine what such pain, suffering, bewilderment, indoctrination as happened in China, would do to our present Christian culture, where much of the believer's life revolves around how he feels and what he likes, what he experiences, and what counselor he takes or books he reads. I wonder how much of our certainties are rooted in God's real existence and how much they will fall together with the shaky foundation of our "personal testimonies." 2) Since I last wrote you in March, I have spent two weeks in Moldova's capital Chisinau and now two weeks in the Ukraine, four hours south of Kiev in Kremenchuk. In both locations we continued our seminars and lectures with groups of teachers and some University instructors drawn by the subject of "Christian Ethics as a Basis for a Moral Society." We stayed for two weeks in the same location, which brought additional invitations to speak. I lectures students in a commercial College one morning. Another morning I spoke to a group of about 80 students and faculty in a Polytechnic University. Their professor for environmental studies is former Russian army commander. He is now most interested in Christian concerns. After the lecture there were numerous excellent questions. The following day the students suggested to their fellow-students and the administration to invite me to give a course on ethics, rationality and truth before they study structural engineering! I shall return in October, and am delighted to teach at this school for a week in addition to my regular commitments. There is a great need for teaching both methods and content. The meeting of minds, the freedom to discuss, the weighing of arguments for and against, the search for sources is a novel experience for most people unfamiliar with the civil tradition of Western Christianity. Russians with their Orthodox tradition and their supposed scientific rationality under Marxism have never experienced the freedom found in Jewish and Christian thought. There was always only the answer of the religious or secular authority. One might be able to say that the secular materialism goes back to Aristotle, while the religious authoritarianism has roots in Plato. But neither grant Man the joy and frustration, the questions and answers, the humility and grandeur of being human, made in the image of God and partner in the Covenant of God. This was confirmed by a visit to the Theological Academy of the Orthodox Church in Moldova. We paid a visit to the Archbishop of Chisinau. Since he was upset with us, I explained my primary motives and interest in speaking at the Convocations. I want to restore the life of the person, the soul, after dialectical materialism, Marxism. I also want to sow seeds and awaken educated discernment against the confusing counterfeits of the rising cults. And I want to give the Gospel a credible hearing in a culture, where most people would never set foot inside a church or read the Scriptures. Both the ridicule and rumors from the of Marxist and the church's own harsh treatment of the common man and woman as poor, stupid and in need of suffering for spiritual merit need to be countered with the clarity and wonder of the Bible. Father Vladimir must have been pleased with that, for he impressed on the Rector of the Theological Academy the need to invite me to give a lecture there as well. You can imagine how rare that is, as Protestants in particular and Western Christianity in general are most often considered to be the worst heresies. They challenge the assumed monopoly of the Orthodox church and make room for God to be amongst his people rather than merely amongst the clergy. They also admit to the reality of wheat and tares, to false and true priests, good and bad rulers in the church and in the world, which of course runs counter to the authoritarianism of the religious elite in Orthodoxy. The welcome at the Academy was warm, though hesitant. There followed a long discussion with good and probing questions. I found the students to have very little knowledge of the Bible. Their training is in liturgical songs and prayers and the reading from the lives of the saints. They have no books. Their minds are not encouraged to argue with the text of the Bible. It does not argue with them and their ideas about life, either. As they resist moral sin by means of their faith, I pointed out that the Bible also warns against intellectual and metaphysical sin, which often form the basis for immorality. In their longing for spirituality, I reminded them of the temptation of Gnostic Platonism, where human life as the normal existence in time and space is neglected and even rejected. To my surprise and pleasure I was invited to return in October. 3) In the Ukraine I observed the 50th anniversary of the end of the 2nd World War in Europe. People heard speeches and laid flowers, enjoyed a holiday and time to go on a picnic, to take the goats, geese, cows and sheep out to the village green. It was a sunny day. People had worked Saturday, so that Monday could be a holiday. They gathered around large monuments to the glory of Soviet Power, victory and to the defeat of the enemy. Spikes, rockets, guns, even old military aircraft decorate the city parks. War and victory are the central images, while real life is shared with your goats, your vodka, and your daily humiliating toil. Such a life is a harsh and living monument to the ideas of the Hegelian dialectic, Marx's view of the class struggle and the Darwinian survival of the fittest. All of life is a battle. While many rightly remember the effort to destroy one of the terribly inhuman ideologies that came from the Enlightenment and to end National Socialism, it was also the beginning of the subjugation of much of Eastern Europe, the murder of the Polish government in Exile, the massive eviction of people from their homes under an equally vicious ideology and its leader Stalin. 4) Please pray for us this summer as we hope to have enough funds to invite several Eastern European students to come to Gryon for Schaeffer studies. They are special people, whose interest is keen and who desire to work back in their own cities. 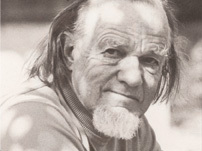 5) The Board of the Francis A. Schaeffer Foundation set up the Schaeffer Writing Project to help Edith in her efforts. If you wish, you may contribute to this. The funds will also be used to encourage others to work with the ideas of Dr. Schaeffer and to introduce a wider public to them. You will of course receive a receipt for any donations.